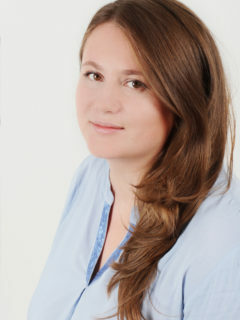 Team – Центр "Нова Європа"
Alyona Getmanchuk, Director of the New Europe Center, is an experienced Ukrainian think tank manager and foreign policy analyst. Her previous achievements include her engagement with the Institute of World Policy, where she served as a co-founder and director for 8 years. Since 2016 she is a member of Ukraine-Poland Presidential Advisory Committee. Her journalistic experience covers almost 15 years of work as international policy observer and editor. She is an author of numerous articles in Ukrainian and foreign media outlets (including The New York Times, The International Herald Tribune, Gazeta Wyborcza, Moscow Times), and interviews, including the first and the only in the moment interview of US president given to a Ukrainian journalist. Alyona is a contributor to Kyiv’s influential Mirror Weekly newspaper for more than 15 years. She also keeps a blog at the most popular Ukrainian web-site “Ukrainska Pravda” which used to be entitled “Euroatlanticist diary”. In June 2017, she received a state award from Ukraine’s President Poroshenko for her input in Ukraine’s European integration process. Research interests: perception of Ukraine in the EU, regional security, Euro-Atlantic integration, Ukraine’s relations with Poland, the USA and Germany. Sergiy Solodkyy, First Deputy Director of the New Europe Center, is an expert in foreign policy, international relations, and security. Previously, he worked at the Institute of World Policy (2010-2017). Solodkyy graduated from the Westminster University majoring in International Relations and also from the Institute of Journalism of the Taras Shevchenko National University of Kyiv. 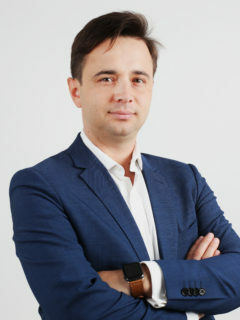 Since 1999 he has served as an editor of international news desks at the leading Ukrainian newspapers “The Day”, “Gazeta 24”, and “Glavred”. His comments and interviews are regularly published in the Ukrainian and foreign media. Solodkyy participated in writing of a number of policy papers and studies on foreign policy issues and regional security. Research interests: security policy, European and Euro-Atlantic integration of Ukraine, Minsk agreements, Ukraine’s relations with Russia, Germany, Romania and the UK. Kateryna Zarembo, Deputy Director of the New Europe Center. She teaches at the Master’s Degree Program “German and European Studies” at the National University of Kyiv-Mohyla Academy. From 2010 to 2017 worked at the Institute of World Politics. 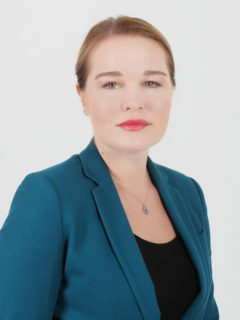 She got her Ph.D. from the National Institute for Strategic Studies (Kyiv, Ukraine), holds an MA in European Studies from the University College Dublin (Dublin, Ireland) and an MA in English and Italian Languages at the National Taras Shevchenko University (Kyiv, Ukraine). In 2010-2011 she was a Fellow of the Open Society Institute. Research interests: EU-Ukraine political dialogue, the security sector reform, the security mission of the European Union, Ukraine’s relations with Poland, Italy, and Israel, the settlement of the conflict between Ukraine and Russia. Leonid Litra, Senior Research Fellow at the New Europe Center, previously worked at the Institute World Policy (2012-2017). He also served as Deputy Director at the Institute for Development and Social Initiatives “Viitorul” in Chisinau (Moldova) where he is now an Associate Fellow. In 2011, he was part of the expert team carrying out the Strategic Conflict Assessment of the Transnistrian conflict for the European Commission. Leonid has co-authored many publications on democratization of the post-Soviet area, European integration and frozen conflicts. 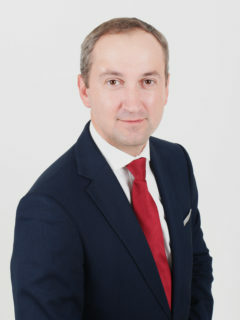 He is also part of the core team for preparing the “European Integration Index for Eastern Partnership Countries” (2011, 2012, 2013, 2014), the Visa Liberalization Index of the Eastern Partnership Countries and a regular reviewer of the Nations in Transit Report on Moldova of the Freedom House and contributor to the Bertelsmann Transformation Index and to the researches for the EU institutions, such as the European Parliament. Leonid was a Carnegie Research Fellow at Yale University and holds a master’s degree from the European Institute of High International Studies in Nice (France) in International Relations and European Studies. Research interests: democratization in post-Soviet space, European integration, “frozen conflicts”, Eastern Partnership, Ukraine’s relations with Moldova, Romania, and France. Olga Lymar, Organizational Development Manager, Research Fellow at the New Europe Center. She is responsible for project management and organizational work aimed at the building the institutional capacity of the New Europe Center. She has attended a number of trainings on organizational development (project management, HR, strategic planning, monitoring and evaluation, fundraising, policy analysis, advocacy etc). At the Institute of World Policy, where she previously worked, Olga was responsible for operating a 3-year long institutional development project within the Ukrainian Think Tank Development Initiative. Now she shares her experience on building institutional capacity of an organization with other Ukrainian NGOs. During the last years, she has also become a co-author of several pieces of research. Olga holds an MA in Philosophy from the Taras Shevchenko University of Kyiv, Ukraine.